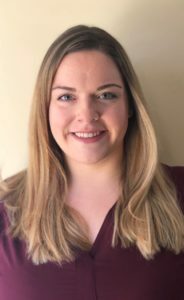 Lindsay Riley graduated from Fairfield University in 2016 with a Bachelors degree in Marketing and Management. She then went on to get her paralegal certificate from Manchester Community College where she was very active in the educational community. She was president of the paralegal club and is now on the paralegal advisory board for alumni. Upon completion of her certificate, she worked with several firms but found her home with Fazzano & Tomasiewicz, LLC. In her free time she plays with her dog, Coco Lily, and practices yoga.